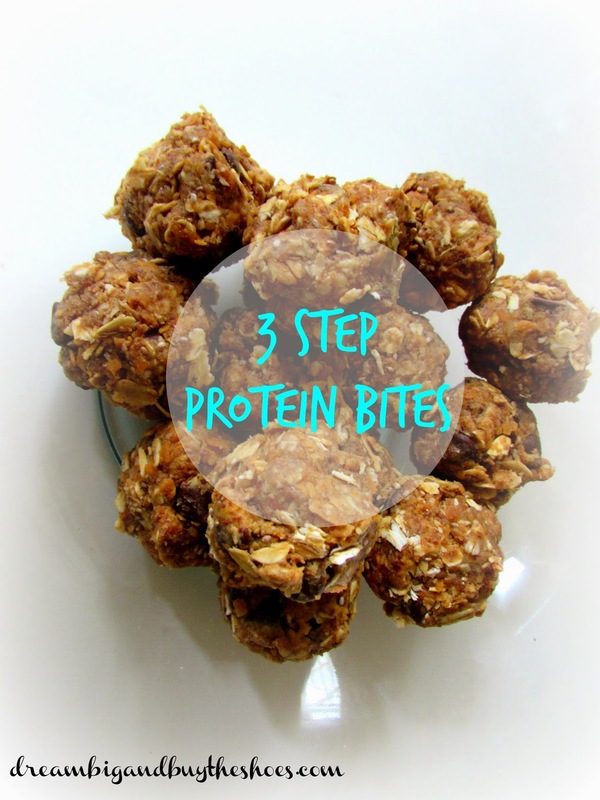 I have heard of protein energy bites for a while now, and never took the time to make them. With this wedding getting closer, and my sweet tooth needing a bit of control I had to try them out. When chilled, roll into bite size balls, I made mine about 1"
These were so easy to make, and even better to enjoy. They are the perfect snack any time of the day, I have been enjoying them with my lunch or when I'm craving something sweet. What's your favorite go-to healthy snack? My gosh these look so good. I need something to take the place of cliff bars! I keep seeing these but I've never tried them! They look so easy and yummy! I'm trying to really watch what I eat and had been looking for something with lots of protein that was a good and sustaining snack. I may have found something to try! So considering making these! Just need to figure the calories and macros to see if they fit for me. Yum!! 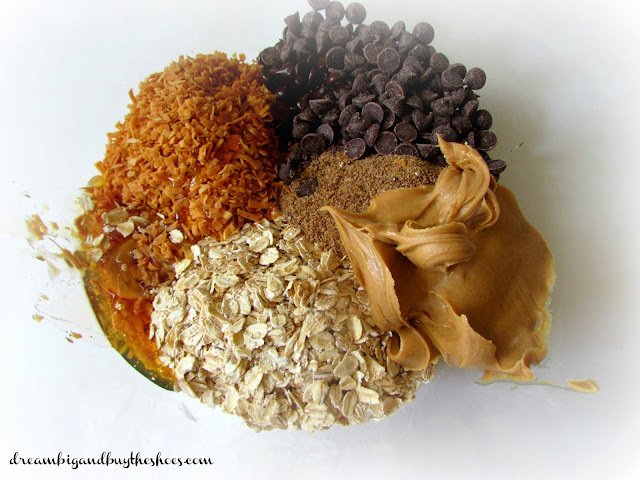 Anything that involves PB is right up my alley! Holy yum! I need to make these. Thanks for the recipe! okay these look delicious. I'm ALWAYS in when peanut butter is involved. Yum! -- I might even have all the ingredients for these in my pantry. That never happens. That would be AWESOME! They are soooo good Christy, I hope you get to enjoy some! Nutritious AND delicious, HECK YEA! I'm glad you like it Helen, it is SO good! They are really delicious, and it's a bonus that it's not a Kit Kat that I usually crave. I hear ya Kerri, love me some PB! I hope they do, because they are REAL good Mae! YES, they hold me over and really satisfy my cravings for something sweet and chocolatey. I hope you enjoy them Kati! I finally took the plunge, and it was SO worth it Julia. 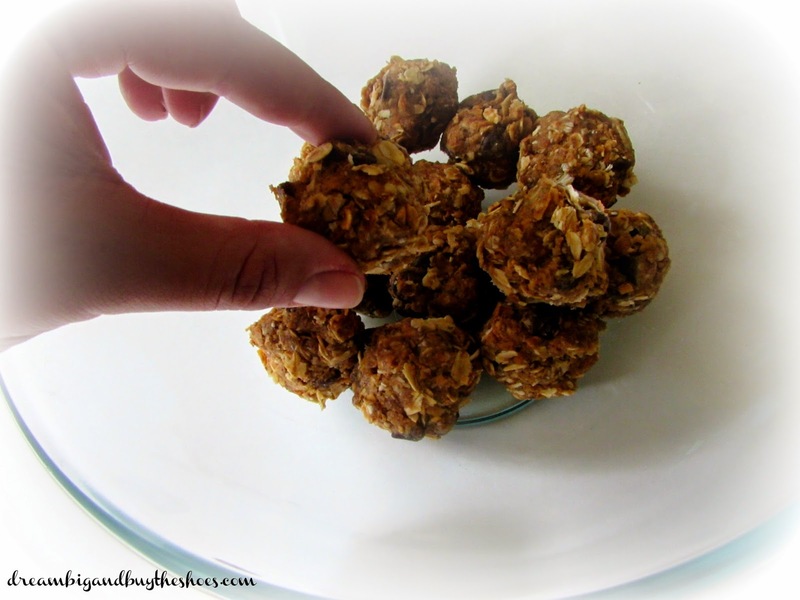 Easy and yummy for sure, you should make them! YES, that's the best part....except for the chocolate chips, THOSE may be the best! YES, I hope you do, because they are TOO good! I will put some in the mail right away Mia ;) They are SO good, I hope you get to enjoy some soon! 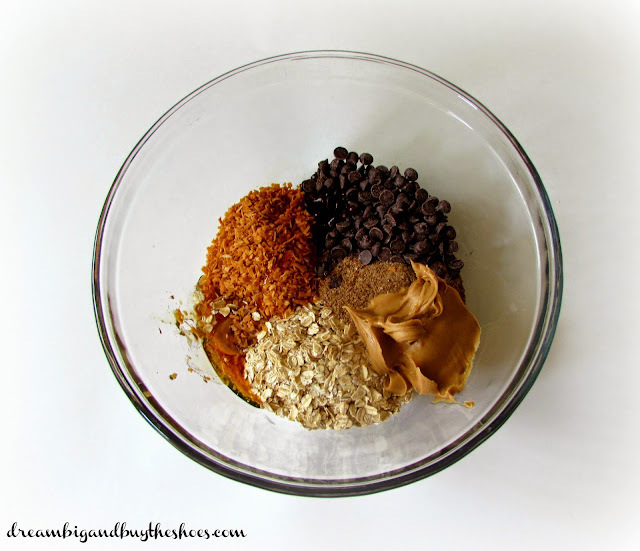 I make a version of these too but can't wait to add in the toasted coconut that looks great! It's one of my favorite ingredients ...I LOVE coconut! I hope you enjoy them Rachael, they are SO good! You sure do girl, SO good! So this couldn't come at a better time and I LOVE YOU for it! My husband and I are "dieting" (yes, I put that in quotes on purpose, haha), and I have been DYING for a sweet treat that's healthier for me. This looks AMAZING, and I have all of the ingredients. WOOT! Thanks so much for sharing with us at Delicious Dish Tuesday!! haha, you're too cute. I have such a weakness for chocolate and sweet things, and these definitely did the trick!! I am obsessed with them. I am glad you like the recipe and hope you get to enjoy some real soon Alesha! Featuring this as my FAV for this week's DDT! Thanks for sharing! Feel free to stop by and grab the "Featured Favorite Button", and be sure to share another amazing recipe!!! SO excited you decided to feature these, I LOVE them! Thanks so much for hosting Alesha...I always love preparing new recipes to share :) Have a wonderful week!